Vend Raleigh is proud to present it’s 3rd Annual Illuminate Conference on Friday, October 3, 2014. 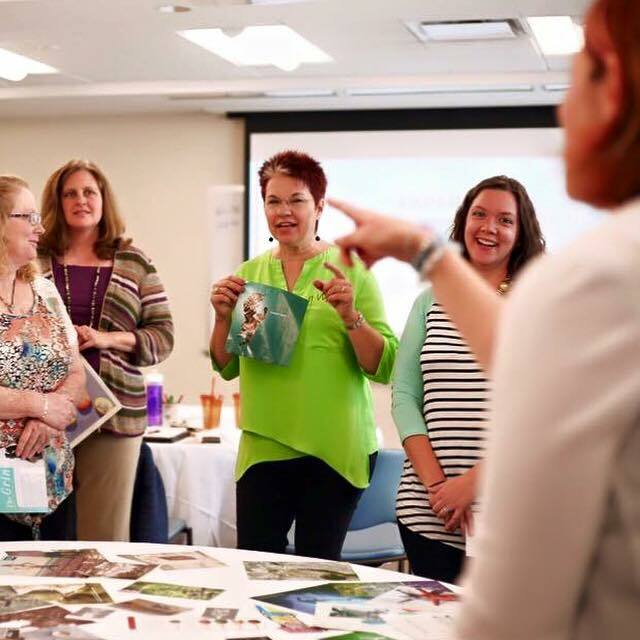 This full day of speakers, workshops, and networking is a chance for Raleigh Mompreneurs to gain valuable skills, connect with friends, and grow our businesses. We have real businesses (#RealBiz), we are worth it (#WorthIt), and we will get hooked up (#GetHookedUp) through the wonderful networking that happens around tables and over coffee. Have you gotten your ticket yet? If not, register here. Proceeds from the 2014 Illuminate Conference are going to support StepUp Ministries right here in our local community. StepUp inspires adults and children at economic risk to take responsibility for every aspect of their lives through comprehensive programs, meaningful relationships and compassionate accountability. To do this, it requires the entire community. The StepUp process is not a quick fix. StepUp’s comprehensive services are designed to be a one to two-year time commitment. The first step is a job. Participants begin the process by attending our 32-hour job training workshop that teaches the skills needed to find and sustain employment. During their job search, each participant attends a weekly networking meeting while also working one-on-one with staff members. Once employed, individuals apply to attend a year-long life skills class that teaches the skills needed for life after employment. After graduating from the life skills class, we provide alumni classes centered around public speaking and entrepreneurship. The goal is stability in all areas of life. 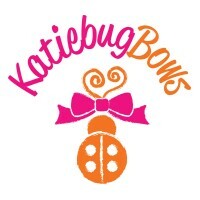 Below is a story about one of our StepUp Moms. In addition to her current full-time job, she’s exploring a business plan to one day open her own salon. This is reality for me, Jamila Smith, age 31, single mother, honorable veteran, convicted felon. I was balancing life—but one weak spot was enough to unhinge everything. Bills piled up, along with stresses and worries. Unable to balance it all, I made some mistakes. And in 2010, I was convicted of a felony. I served my sentence and re-entered society with a debilitating record, low self-esteem, no job, and a son to feed. That’s when I came through StepUp Ministry. The Job Training Workshop taught me how to talk about my record, how to communicate better, how to prepare, how to ask for help, and how to utilize my skill set. The staff helped me, but they didn’t run all over me. If I gave 100%, StepUp gave 100%. They supported me, but did not hold my hand. They taught me the steps, but I had to take them. 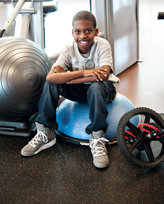 After becoming employed at the Alexander Family YMCA, I was ready for the year-long Life Skills class. It inspired me to think outside the box. In fact, StepUp taught me that it’s better not to make a box at all. They taught my son Desmond and me the skills we both desperately needed to learn: how to budget, how to manage emotions, how to relate with family, how to balance life and how to prepare. Now, my 11-year-old tells me what’s in the budget and what’s not! This past April, my son and I graduated from the Life Skills class. Now I plan to join the entrepreneur class next January so I can eventually open up a hairstyling shop. My dream is to one day be able to volunteer at StepUp so I can give back to the organization that helped me and continues to help so many others. Get your ticket to Illuminate! Register here. 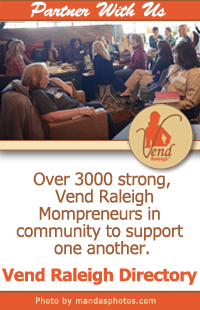 Shop local, small and mom-owned businesses year round with Vend Raleigh.